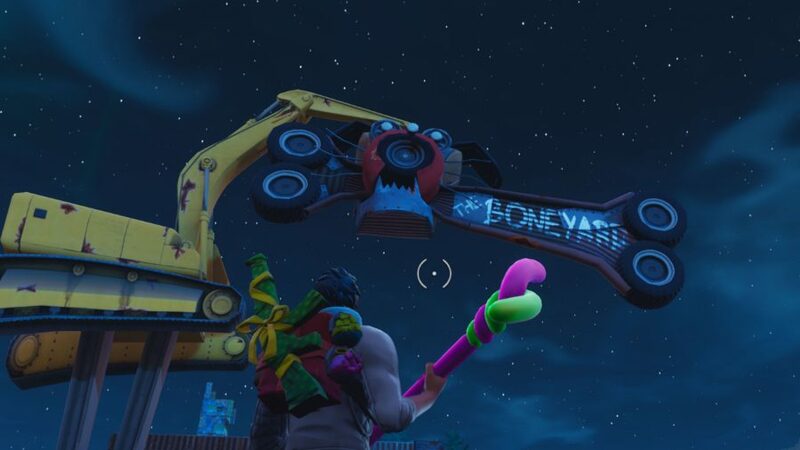 The big ol’ dog is chomping on his bone just south of Junk Junction. It’s massive and just above the main entrance – you can’t miss it. 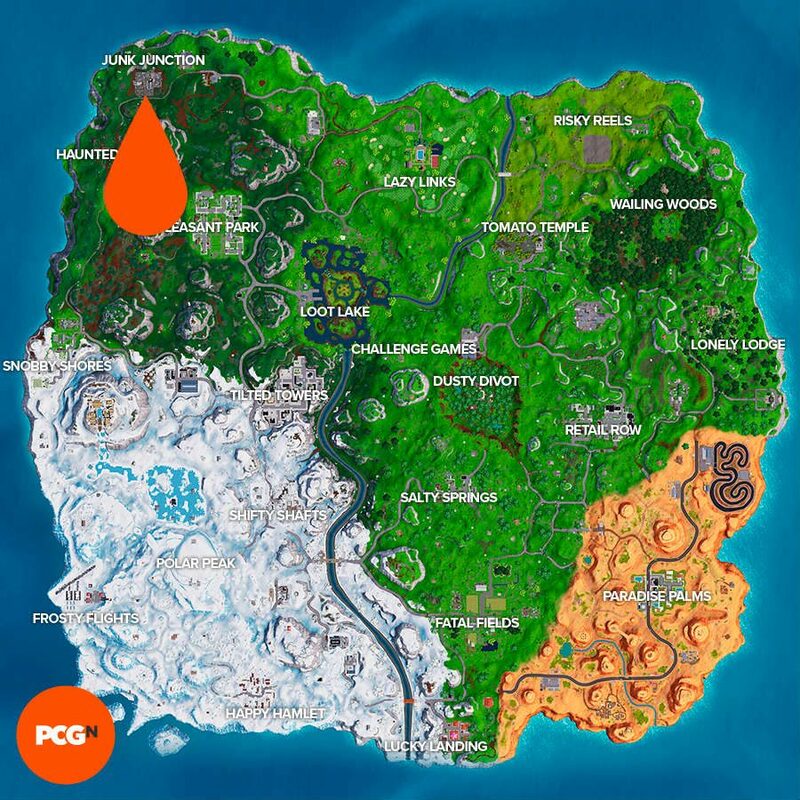 But, if you want something a little more specific than that, or your knowledge of the map is a little hazy, below you’ll find a map and screenshot detailing exactly where you need to get your dancing shoes on. 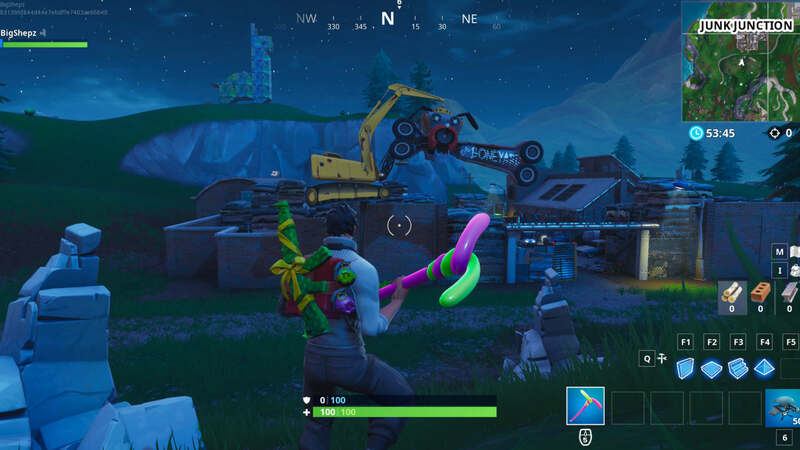 So that’s where you find the giant dog head in Fortnite. That concludes this three-part week 9 challenge so congrats, enjoy your Battle Star treasure. If you’re greedily looking for even more loot, there are more challenges where that came from. We also have guides to help you out on how to complete three Fortnite plane timed trials and where to pop all Fortnite golden balloons. Now, how are we going to decide which cosmetic item to equip next.